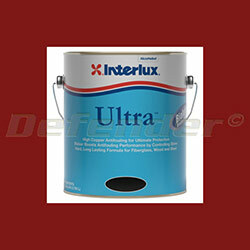 Get $10 back via manufacturer's mail-in rebate when you purchase this select Interlux Paint (for up to 2 gallons). See rebate forms for details. Interlux Ultra is specially formulated to provide long-term protection in waters with a high level of algae growth and shell fouling.